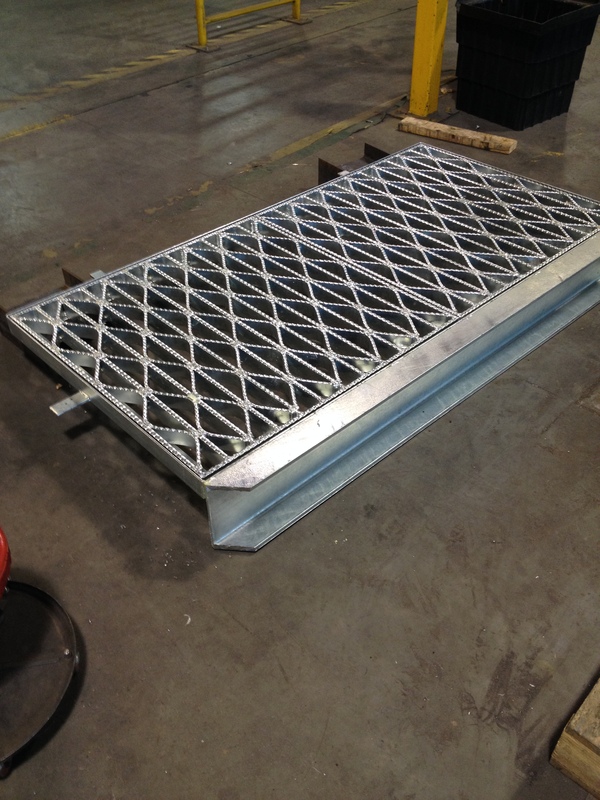 R & S Grating regularly supply Custom Manufactured products to suit a Customers Specification. This is often in the form of a custom sized grate to replace an irregular sized grate that has failed. We are able to fabricate a wide range and style of Grating to suit your needs. Our Facilities include, Kasuga CNC Machining Centre. CNC Plasma Cutter, 100 Tonne and 40 Tonne presses, Shear and Punch Machines, Band-saws, Turret and Horizontal Mills. Ring Roller, Mig and Tig Welders. We are also fully equipped to perform On-site work with our Service Team. Our Fabrication Shop can provide the solution to any difficult or unusual request.